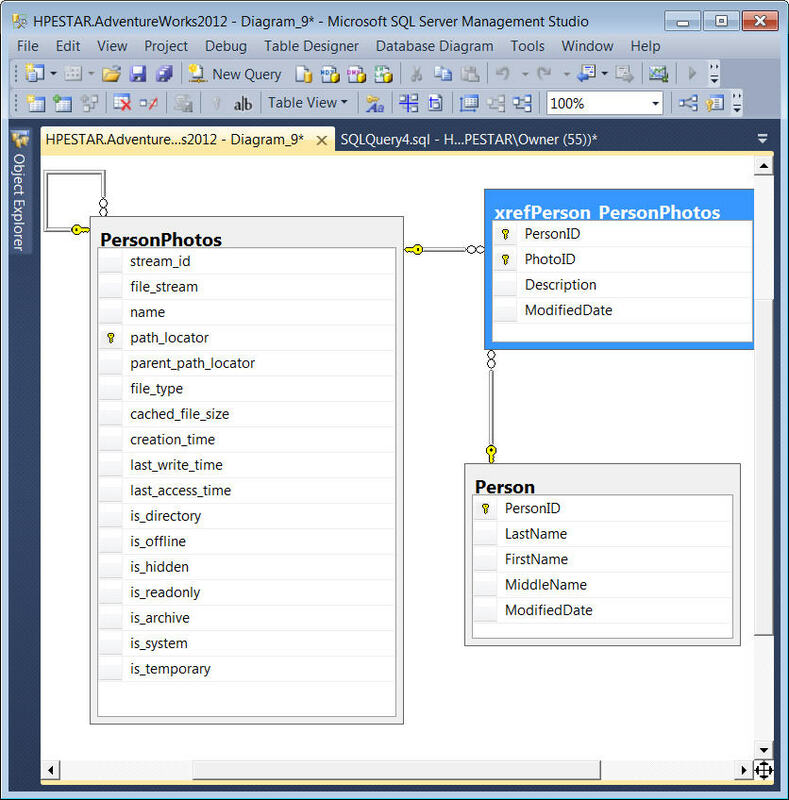 Looking to create a data model, database design, or entity relationship diagram? Here’s a list of tools to consider. Data modeling, or creating an Entity Relationship Diagram, is a common task when you’re working with software. It can be done on pen and paper, or a whiteboard, but there are advantages to doing it on a computer. There are programs that let you perform data modeling, and create ERDs (Entity Relationship Diagrams). There’s actually a LOT of these types of programs, and it can be hard to choose one that works and that you like. In this guide, I’ll list all of the tools I can find, which operating system they work on, whether they are free or paid, some of their features, and reviews from other websites. Some considerations were made when compiling this list of tools. 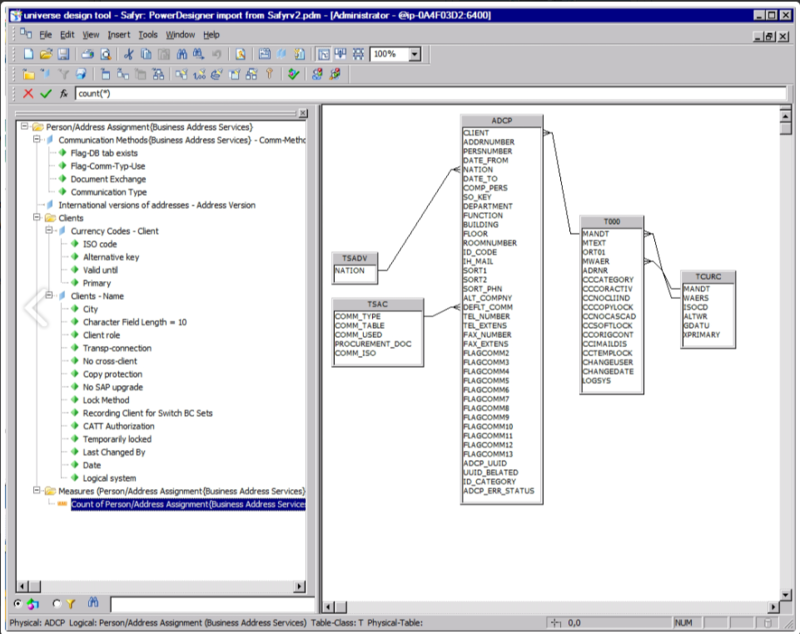 The tool needed to let the user create an Entity Relationship Diagram (a diagram showing tables and columns, and their relationships). 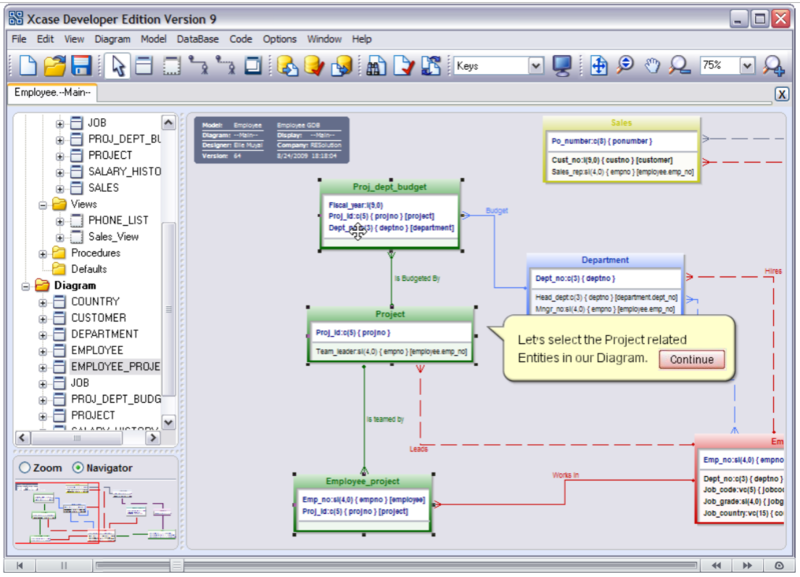 Some tools allowed the user to create UML diagrams but not ERDs, or generated documentation on databases, so were not included. Mainly because of the sheer volume of tools. It would take a long time to download, set up, and get enough use of the tool to be able to write a review of 70+ tools. I have included external reviews for each of the tools mentioned below, which can help you make your decision. There are many criteria you may use when deciding what tool to use. So, even if I review a tool highly, it might not work for you as it doesn’t meet your criteria. I have used a few of these tools, and I’ll mention it in the description if I have. 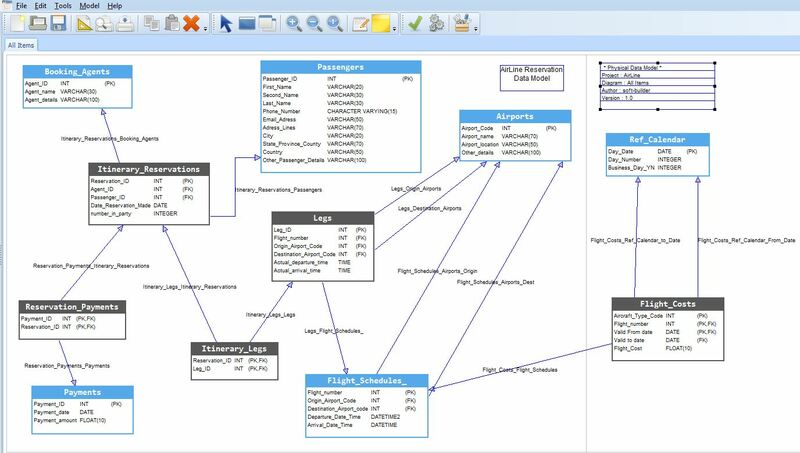 Data Modeling: a tool that just performs data modeling or allows you to create entity relationship diagrams. Full IDE: a tool that allows data modeling but also includes connecting to a database and running SQL queries to generate results. Diagramming: a tool built for creating many kinds of diagrams (e.g. 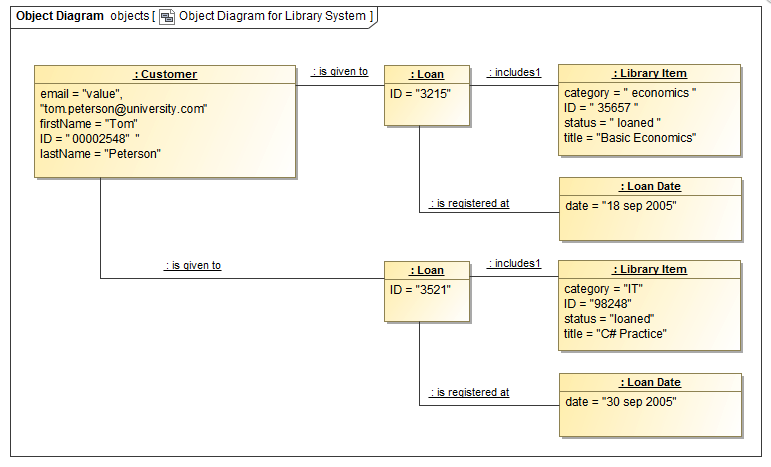 flowcharts, UML diagrams), that can be used to create data models or ERDs. 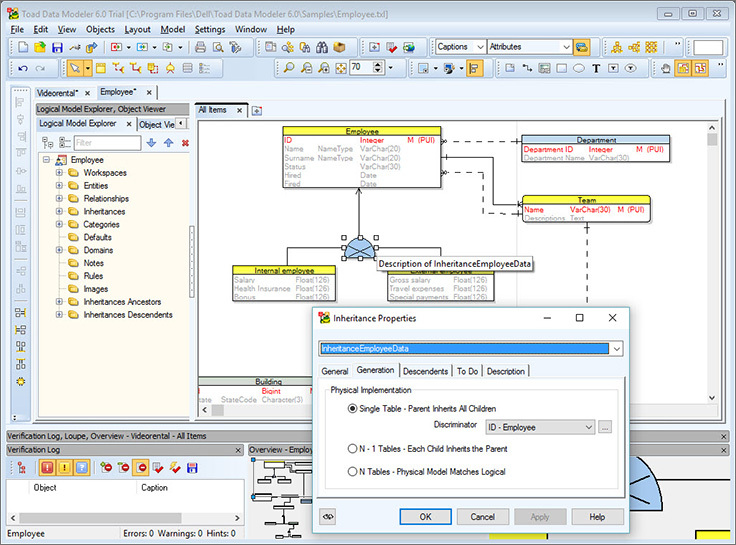 Enterprise Modeling: a tool designed for large companies to diagram and document their business processes, which may include a data modeling component. 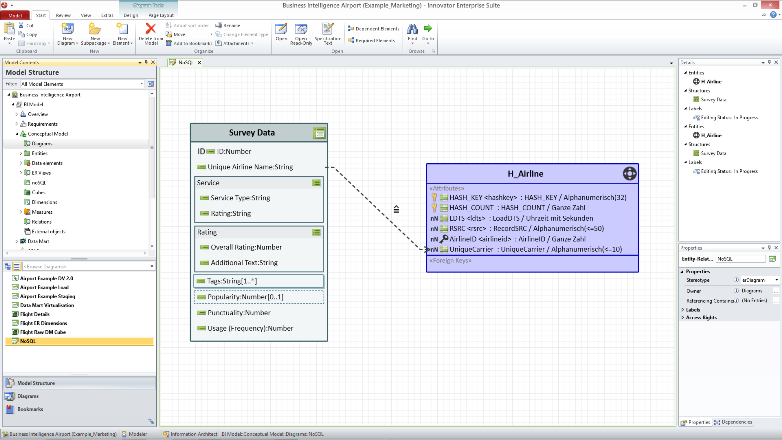 So, now I’ve mentioned that, let’s get into the comparison of data modeling tools! Deciding Which Tool To Use? Your privacy is important. Unsubscribe anytime. 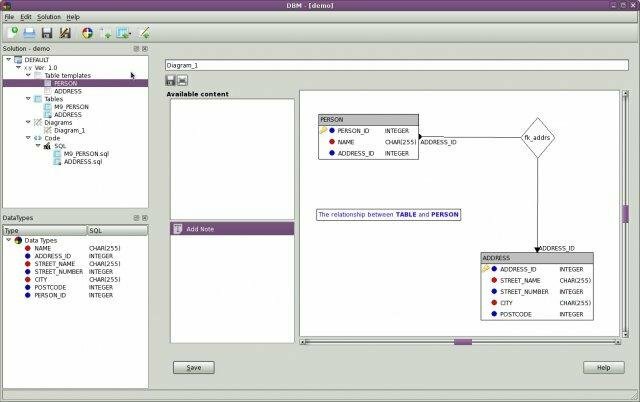 These tools are designed for data modeling, and allow you to create data models or Entity Relationship Diagrams. 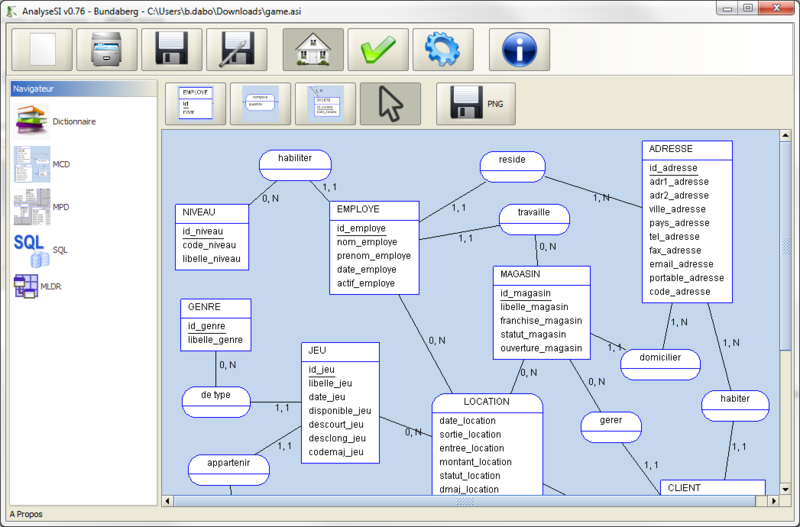 AnalyseSI is a free data modeling tool developed by a French developer. Their website is in French but it’s easy to use Google Translate to get it into another language. The tool itself looks easy to use and has large icons. It’s free to use, and the most recent version is 0.8 which was released in 2017, relatively recently compared to some of the other tools here. I wasn’t able to find any reviews of this tool on other websites. DB-Main is a tool by Rever that has been around for a long time, however it’s still a good tool for creating data models and ERDs. 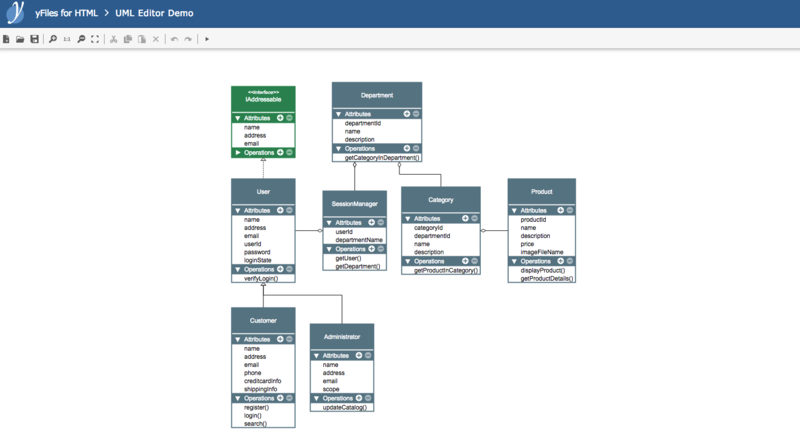 It has a range of features outside of data modeling to help you work with databases. I was unable to find any reviews for DB Main. 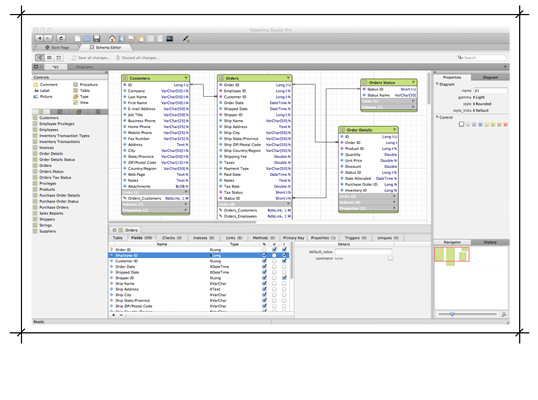 DBDesigner is an open-source tool for creating database designs. I vaguely remember using it back in my university days around 2003-2004 and remember it being a good tool to use. However, some Google searches indicate it hasn’t been updated in a while, and the latest release was in 2006. So I would consider using another tool. This tool looks to be a simple web-based database designing tool. You can register and start diagramming right away, as there is a free plan available. They also offer paid plans based on a pretty low monthly fee, which allow you to store more models and tables. I wasn’t able to find any online reviews. DBDiffo is another web-based database design tool. It looks like it has a clean interface and has the reverse/forward engineering features that are useful in other tools. It also lets you create a database change script, which is helpful if you’re making adjustments to an existing database. DBWrench works on all three operating systems, and supports MS SQL, Oracle MySQL, and PostgreSQL. It also supports reverse and forward engineering – and it’s free. DeZign for Databases has a clean look and supports many different database types. It lets you perform forward and reverse engineering. It looks like there are a lot of features available in this tool, so would be a good one to consider. dModelAid is a recently released product and a new addition to this list. It’s an online-based tool and has many of the features of offline tools with the convenience of being online. 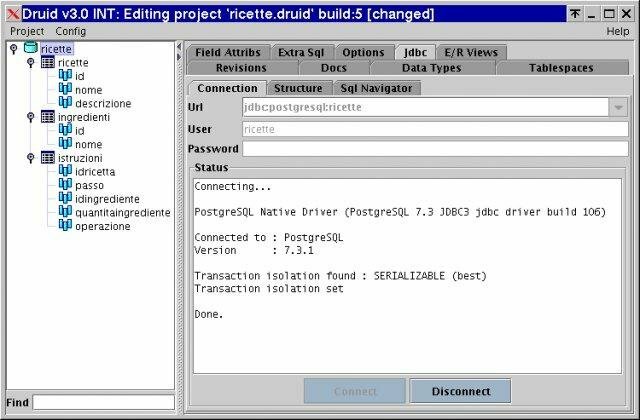 Druid is a tool that allows you to create database diagrams and then forward engineer those into SQL, as many of the other tools on this list also do. It also lets you generate Java code for each of the entities created, as well as HTML and PDF documentation which is a handy feature. 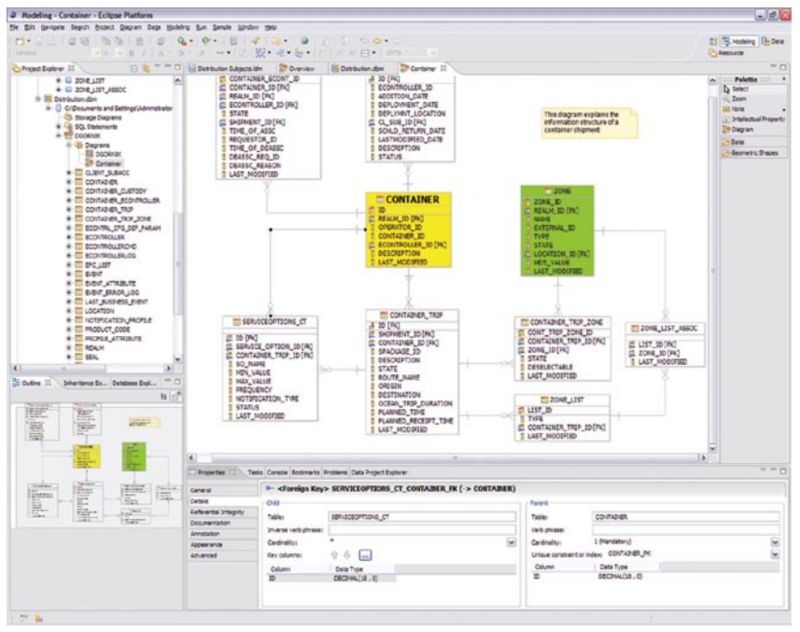 DTM Data Modeler has all the features you would need when modeling databases. It includes reverse and forward engineering, is compatible with several different databases, and of course allows you to create diagrams. The screenshots on their website show a standard Windows-looking interface which would be familiar to many people. 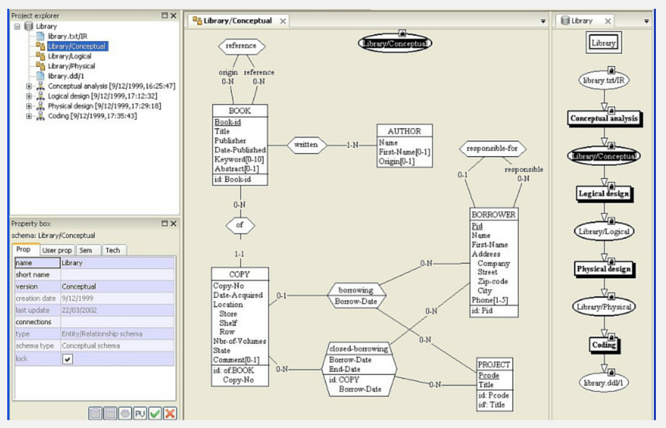 ER Assistant is a small data modeling tool available on the McGraw Hill website, as it’s a tool that is used along with a book they have published. Not a lot is shown on the website about it. However, there are a few reviews and articles about it on other websites. It looks like a tool that’s easy to use and will get the job done. I wasn’t able to find any reviews of this tool. ER/Builder is a database tool that works on Windows and Mac. It works with many different database types and allows you to generate SQL for not only the table creaion, but other objects such as indexes. It’s also a free tool. ER/Studio is a tool by Idera that contains a lot of features. It’s at the higher end in terms of price, but the features included are quite helpful. There’s a full list on their website, but the major features are reverse and forward engineering of diagrams from databases, mapping between conceptual/logical/physical models, standard data dictionary, and validation of the model. This is a Java-based tool and can be run on all major operating systems. It’s free, allows for forward and reverse engineering, is compatible with many types of databases, and has a range of other useful features. 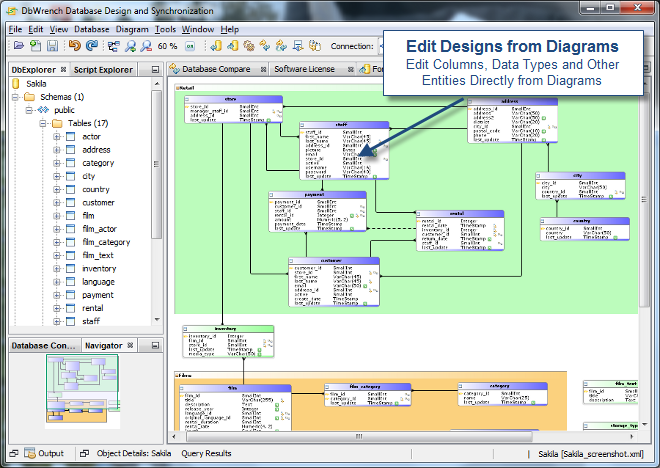 ERDPlus is a free online database designing tool that allows you to create several different types of diagrams. It has a textbook that uses the tool which is also available for purchase, but the tool can be used without the textbook. I couldn’t find any mention of reverse engineering, but forward engineering (generating SQL) is a feature of ERDPlus. I couldn’t find any reviews of this tool. Anywhere you look online, ERWin is mentioned as being the industry standard or leader in data modeling tools. Many people have used it and really enjoy it. It’s the tool that other tools are compared to. If you’re running on Windows, like many companies are, then this is great as ERWin is only available for Windows. Mac/Linux users can either run this in a virtual machine, or use a different tool that runs on Mac or Linux. Hackolade is a tool that focuses on NoSQL databases, and it supports many of them. It offers reverse and forward engineering, and has versions for all major operating systems. They offer a free trial, as well as a free and paid version. 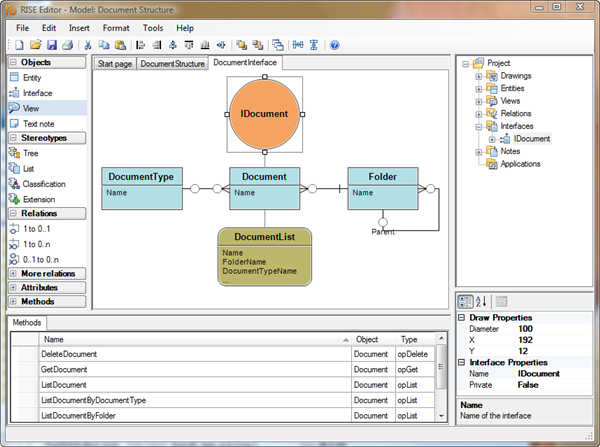 A Windows-based data modeling tool that has a ribbon-styled user interface. There are no prices available on its website so you’ll need to contact the vendor to get this information. I was unable to find any reviews for this tool. 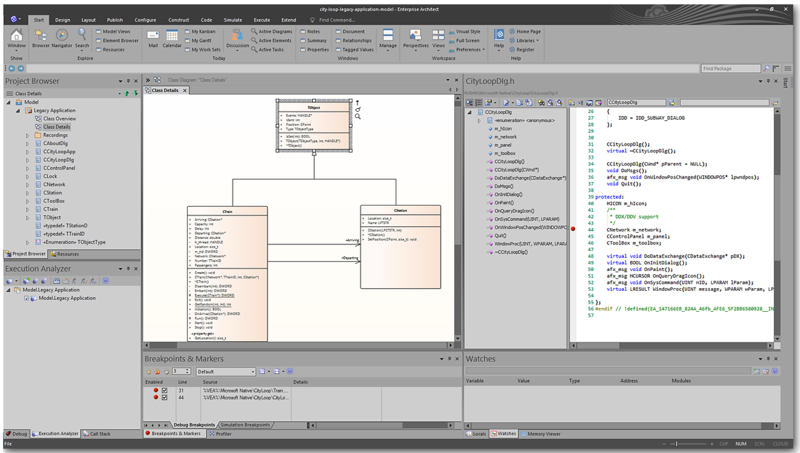 ModelRight is a Windows-based data modeling tool. It has some pretty good reviews so could be worth considering for your data modeling needs. They offer different versions for each of the main databases, which I haven’t seen before, but it ensures that you only have the one database to work with. 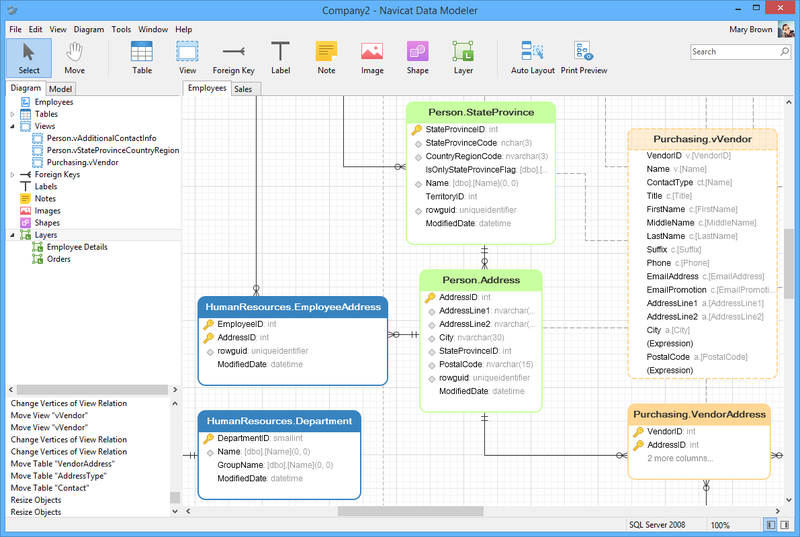 Navicat Data Modeler has a clean looking user interface, and runs on Windows, Mac, and Linux. 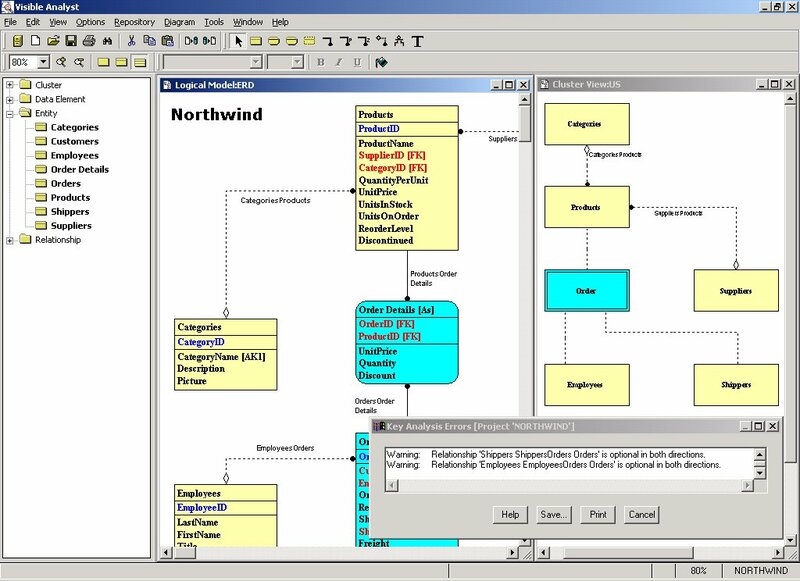 I’ve reviewed the Navicat IDE before but haven’t used their Data Modeler. They have quite a few positive testimonials on their website. I found their IDE good to use, and their Data Modeler looks good. 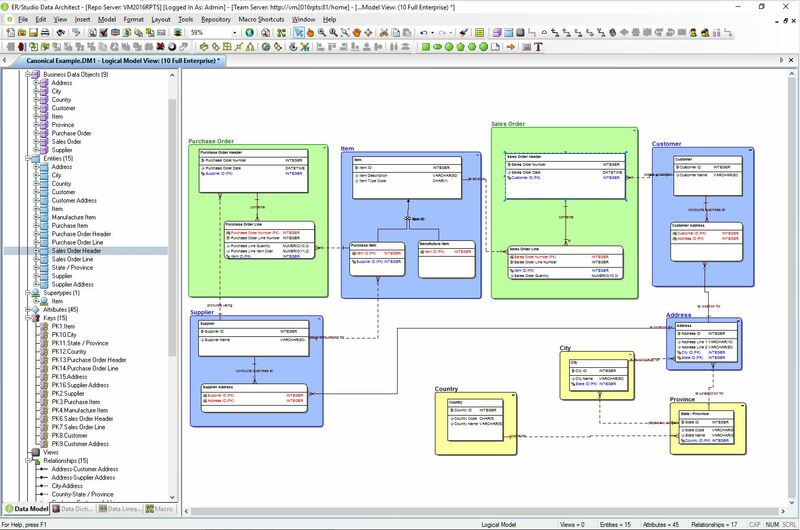 “Navicat Data Modeler offers you the possibility to design database structures in a visual manner and generate the script SQL for various database systems with ease. 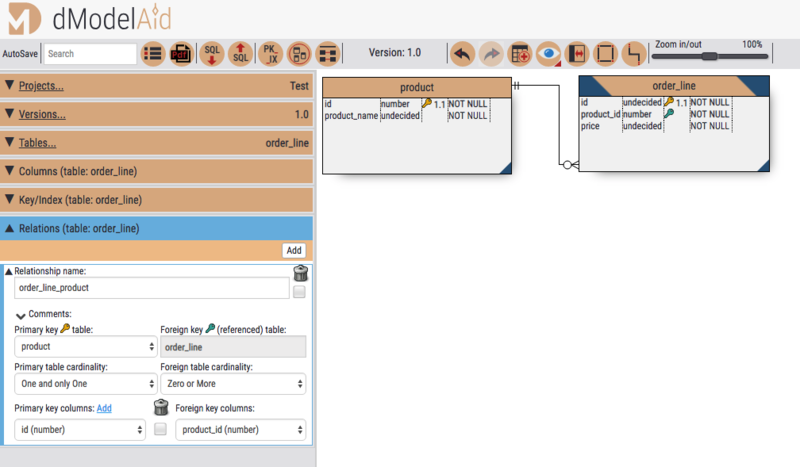 This tool is focused on data modeling for PostgreSQL databases. It has a long list of features on the website, but the website does look a bit dated. It also apparently only runs on Linux. 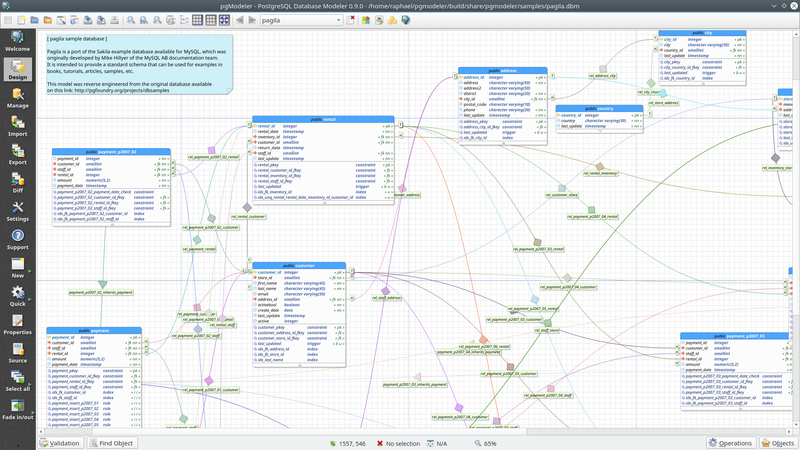 PGModeler is another PostgreSQL-focused database design tool. Unlike pgDesigner, this tool has a clean looking website, and runs on all major operating systems. It’s also a free tool. 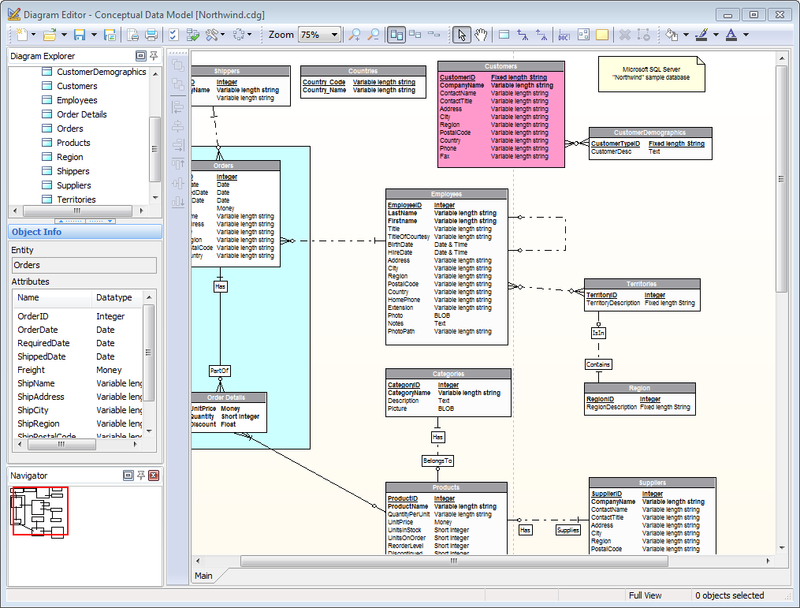 QuickDBD is a tool that allows you to draw database diagrams by typing. 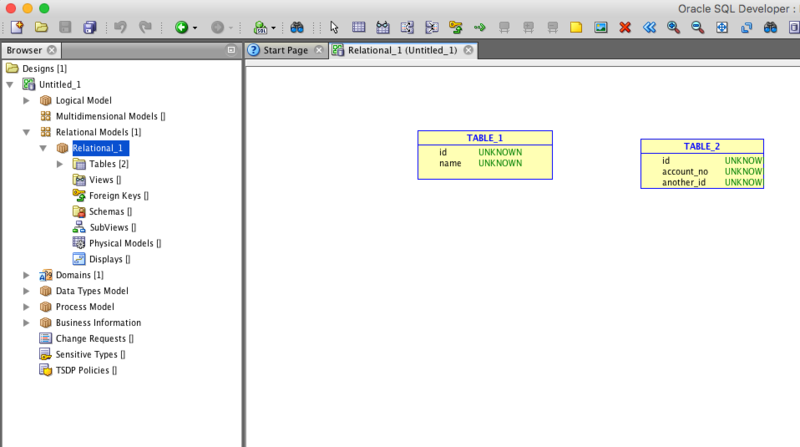 There’s a panel that lets you enter text in a format that looks like SQL but much simpler. It is then converted to a database diagram. This seems like a great idea and would be a lot quicker than drawing and dragging shapes. I’d be interested in trying this out if I had a need to do this kind of work often. Safyr is quite different to many of the tools on here, as it’s used to connect to CRM or ERP systems and create a data model from those tables. If you’re using a CRM or an ERP system, then this may be a tool you can look into. I’ve found that tools built for specific purposes usually do that thing well, so while I haven’t used it myself, if I needed to create a data model or ERD for a CRM, I’d look at Safyr. I’m not sure if it lets you create data models or ERDs for databases that aren’t CRM or ERP. 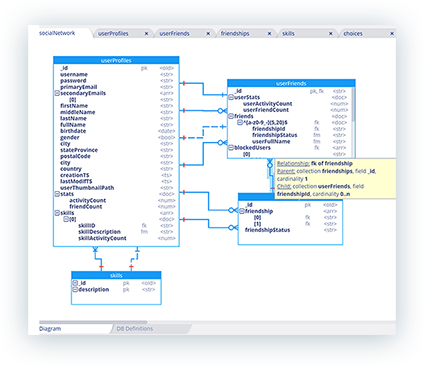 SQL Power Architect offers a free and paid version of its tool. Interestingly, the free version is open source, which helps if you want to make modifications to it. It offers both reverse and forward engineering, and is available on all major operating systems. 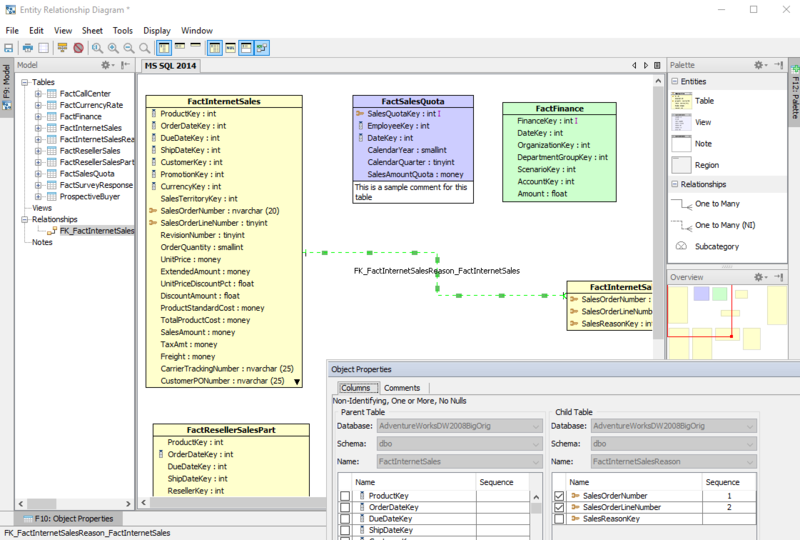 SQLDBM is an online data modeling tool, which is also free. There are a few online data modeling tools in this list, and many of them offer both a free and paid plan, but currently SQLDBM is free. I like the concept of an online database modeling tool, and while I haven’t tried any, I would consider trying SQLDBM. It’s a relatively new tool but features are still being added. Toad makes one of the most popular Oracle SQL IDEs, and their data modeler is also highly recommended. It runs on Windows only, but it includes reverse and forward engineering. Vertabelo is a tool I’ve heard about in the last couple of years. It looks great, has a monthly subscription model which is affordable, and runs online which means you can access it from anywhere. I plan on spending more time in the future working with database designs, and Vertabelo is on my shortlist of tools to use. WWW SQL Designer is a simple ERD tool that runs in the browser. It’s free, supports reverse and forward engineering, and doesn’t need an account to start playing around in the demo environment. 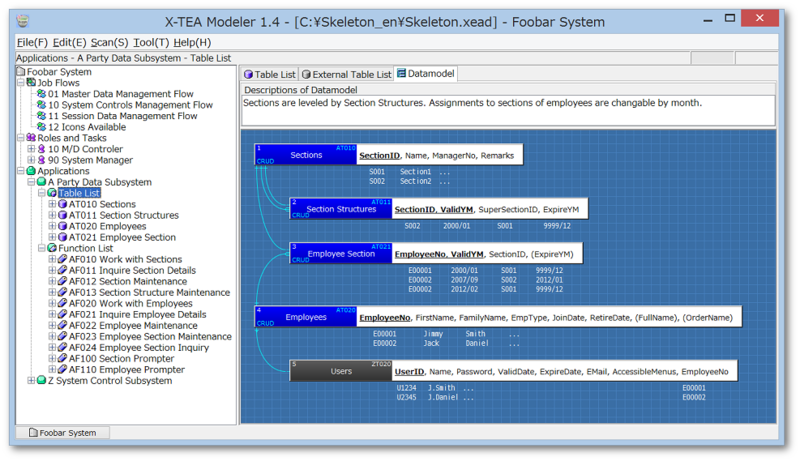 X-TEA is a modeling tool that looks a little different to the others, but still seems like it gets the job done. It doesn’t seem to support reverse or forward engineering. Their website looks a bit dated and as though it was designed in Microsoft FrontPage in the mid 2000’s. However I haven’t used the tool so it may be a good piece of software. I couldn’t find any reviews of X-Tea online. Everything I found referred to green or black tea products! 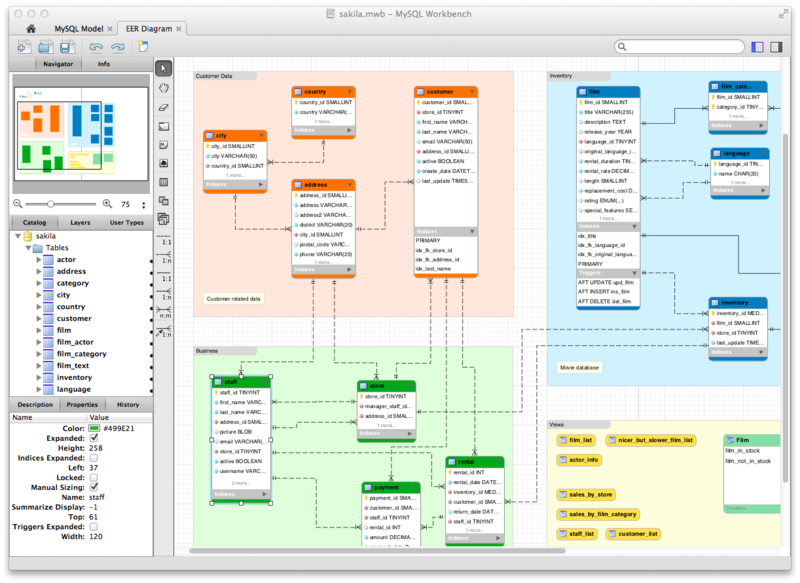 xCase looks like a feature-packed tool for helping you design databases. It supports both forward and reverse engineering, and many other features around managing and migrating data. It runs on Windows, and has a free trial, so if you’re interested, take a look at the trial and see if it’s suitable for you. I was unable to find any reviews of xCase online. These tools are used for creating many different kinds of diagrams, such as flowcharts and UML diagrams, and also allow creation of data models or ERDs. Price: Community (free for non-commercial), Individual $9.99/month, $119/year, $299/perpetual. Organisational and academic pricing available. Astah is a clean looking tool that has quite a lot of features. 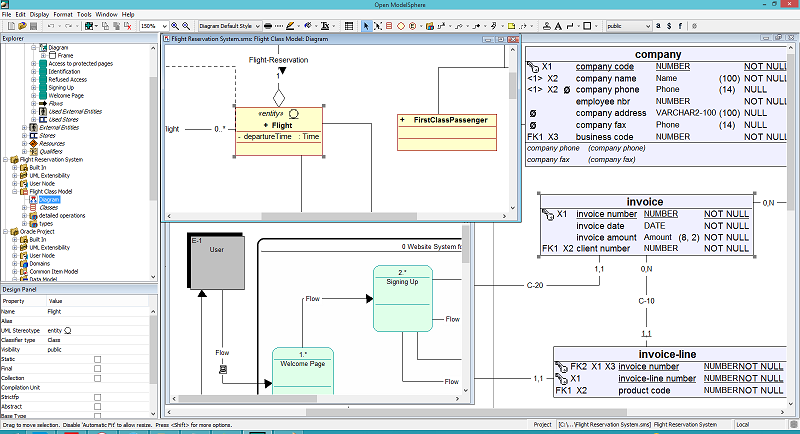 It allows for creation of many types of diagrams, including ERDs, mind maps, and many UML diagrams. It allows for code engineering (both forward and reverse), team development, export to different file types (PDF, HTML, images), and many different features to improve your use of the tool. It has integration with Confluence, Jira, Subversion, yUML, and Freemind. I was also impressed by the testimonials on the front page from two big names in the IT industry: Mary Poppendieck and Kent Beck. ConceptDraw is a great looking tool available for both Windows and Mac. 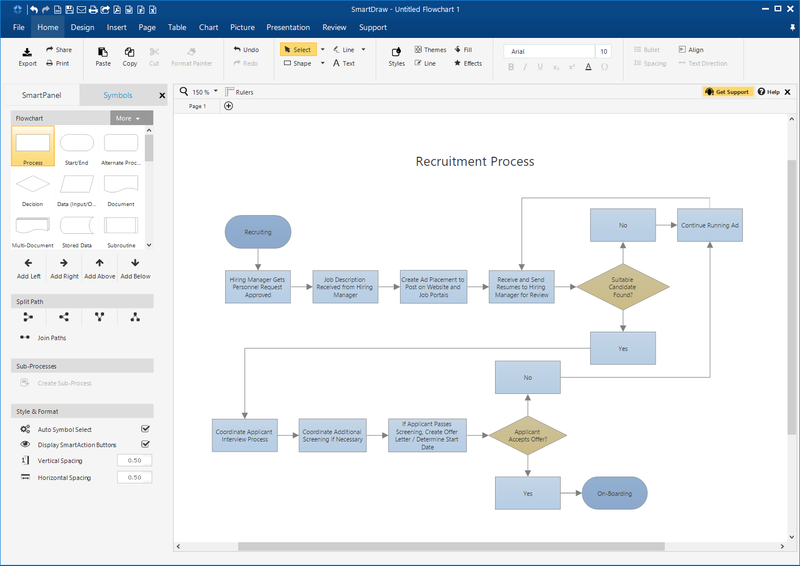 It’s an alternative to Microsoft Visio, and has a lot of diagram options and templates to work with. It includes the ability to create a data model or Entity Relationship Diagram, with both forward and reverse engineering. It also has many of the features that good diagramming tools have, such as arranging and connecting shapes, and is easy to use. 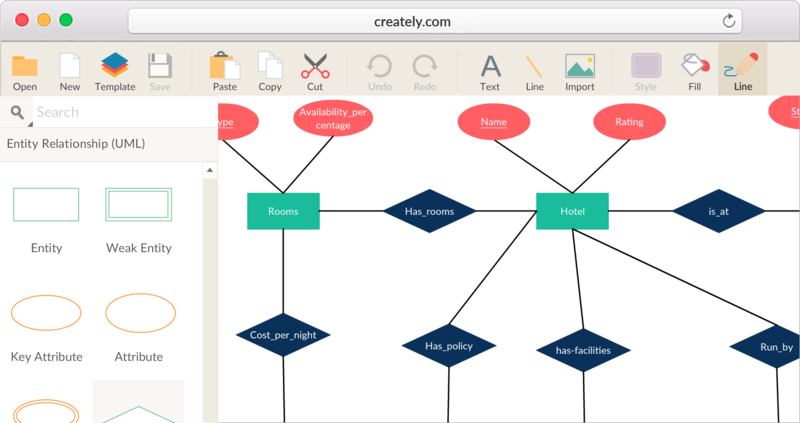 Creately is one of a few web-based data modeling tools on this list. It seems to be one of the better ones, and it’s often referred to in lists of good data modeling tools. It offers both a web-based version and desktop versions for Windows, Mac, and Linux, which is very handy. It has a large list of features, such as team access, importing from Visio, version history, and integration with Confluence and Jira. 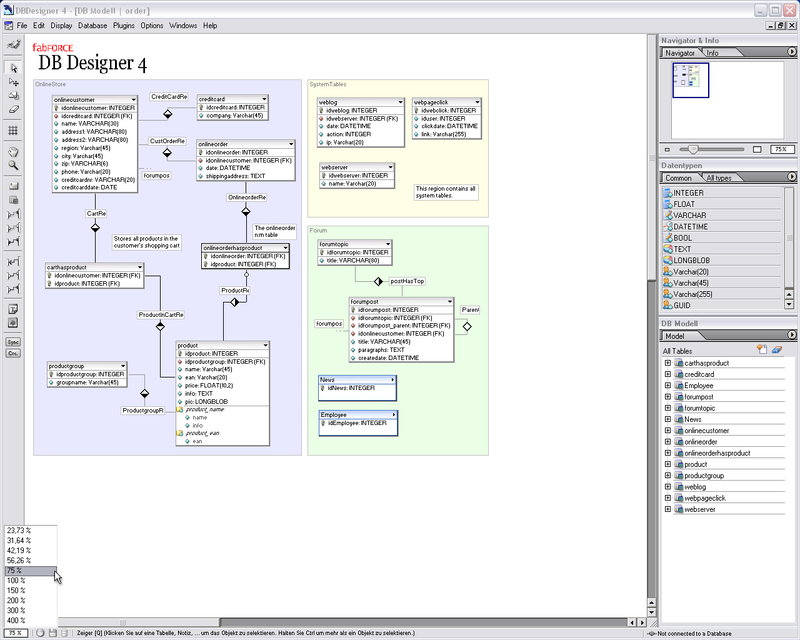 Dia is a diagramming tool available on all major operating systems, which as the review mentions below, helps more people use the software on their own computers. It supports both forward and reverse engineering. And it’s free. Draw.io is free online diagramming tool, like several of the others here. Its strengths are the ability to collaborate with others and integration with Google Drive. It doesn’t support reverse or forward engineering, but not many online tools in this list do. 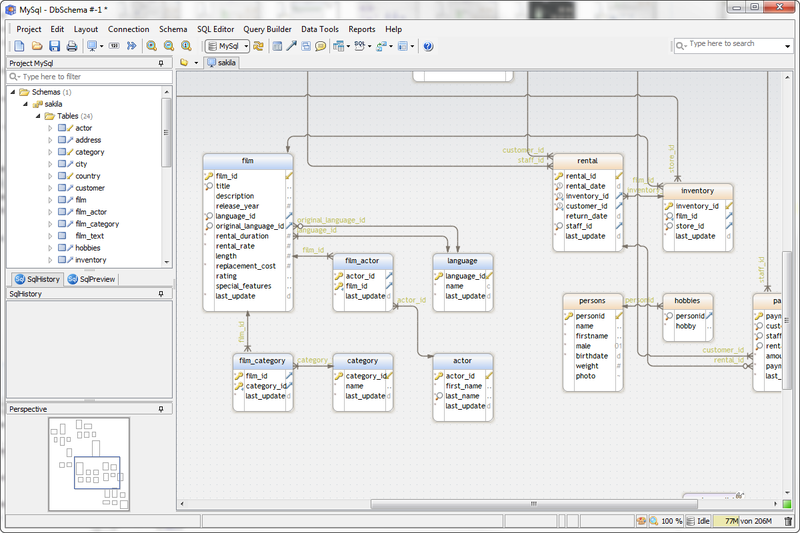 GenMyModel RDS looks like one of the better online database designing tools. They offer a free plan as well as paid plans which are quite affordable. Their website has a good description of their features, which include SQL code generation (forward engineering). I haven’t used it but it would be on my shortlist of web-based data modeling tools. Gliffy is an online drawing tool similar to the others mentioned here. It’s comparable in features, but as it’s a drawing tool, it doesn’t have a lot of support for reverse engineering from databases. If you’re already using it for your other drawing needs, it could be useful. Google Drawings is a drawing and diagramming tool built in to Google Drive. 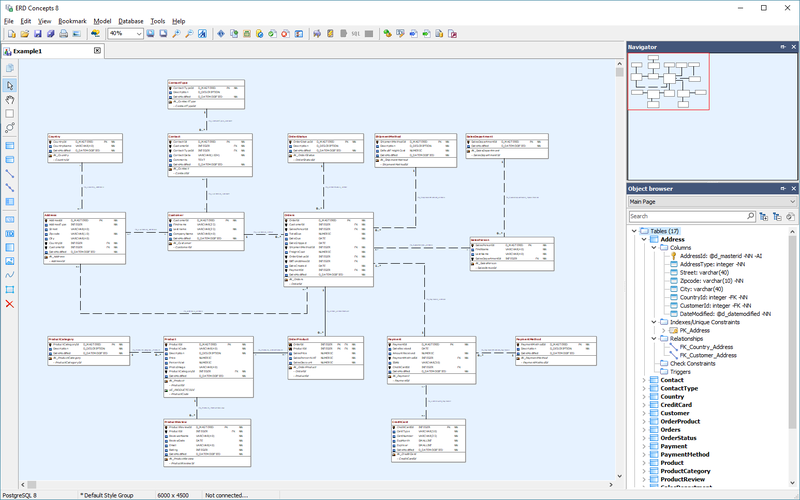 It doesn’t have many data-modeling related features, as it’s a diagramming tool. As far as I know, it doesn’t have templates for creating ERDs either. However, it’s an online tool, meaning it can be accessed from anywhere. It also has an offline mode, like Google Docs and Sheets, which works well. I’ve used it occasionally when I needed to draw something up quickly and understand how things were related. It’s a helpful tool for diagramming, but doesn’t have the database connection and ERD tools you may need. 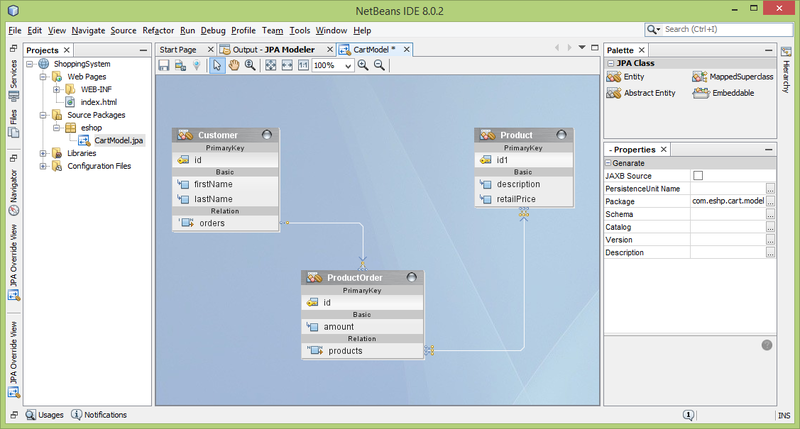 Jeddict is actually an open-source addon to NetBeans IDE. it works primarily with Java but can also be used with SQL code and database diagrams, as far as I am aware. While it’s just for NetBeans IDE users, if that’s what you use, this could be an option for you. LucidChart is actually one of the tools I have the most experience with on this list. It’s an online diagramming tool that offers a range of drawing types, such as flowcharts and database diagrams. 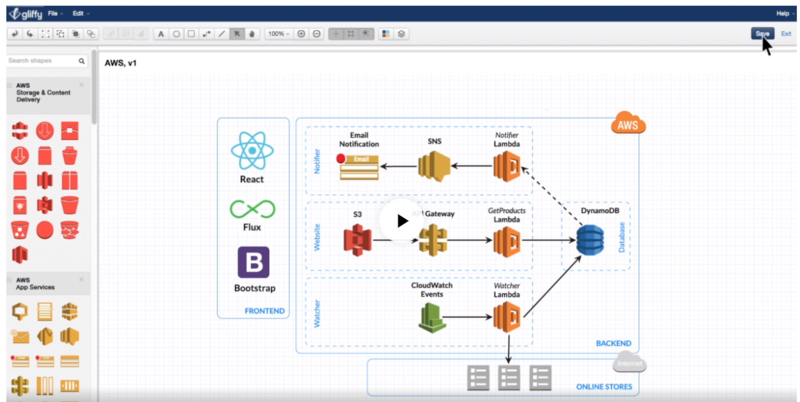 I’ve developed many database diagrams using LucidChart. They offer some helpful format options and the diagrams that are generated are neat. There is limited formatting of diagrams though, but it’s enough to get the job done. They can easily export to images, which has been helpful for me as I use these images on this website and in my courses. 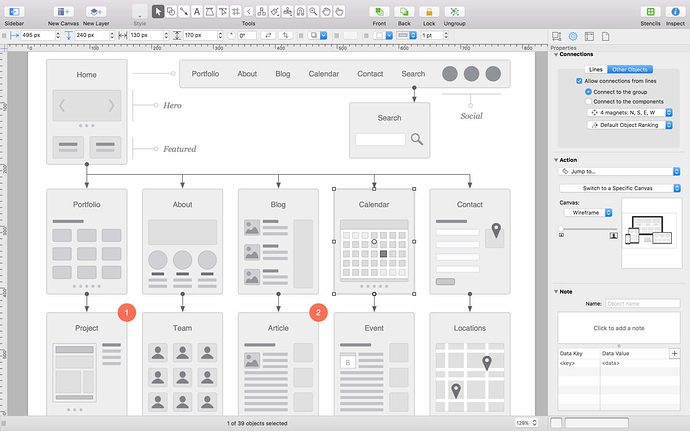 OmniGraffle is a diagramming tool available exclusively on Mac. While this may rule out Windows and Linux users, if you’re a Mac user this is a tool you should really consider. It’s a clean looking tool, has a lot of features and diagram types, and is constantly being improved. I didn’t see any features about reverse or forward engineering, however. ModelSphere is one of the only tools in this list that runs on all operating systems, includes forward and reverse engineering, and is free. It’s open source as well. They do offer some premium plugins, but the base version may be enough for you. Rise is a simple looking diagramming tool, available for Windows. It includes both forward and reverse engineering, and is free, which might be important to you. SmartDraw runs on Windows and Mac, and has an online component. It’s a diagramming tool which allows for many different diagrams, including ERDs, but doesn’t include forward or reverse engineering. It has a ribbon-based layout which would be familiar to Office users, and has high reviews online. 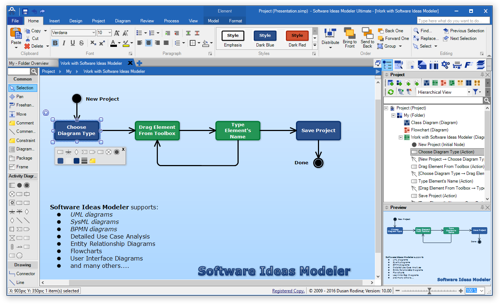 Software Ideas Modeler is a tool with a lot of different diagramming features. 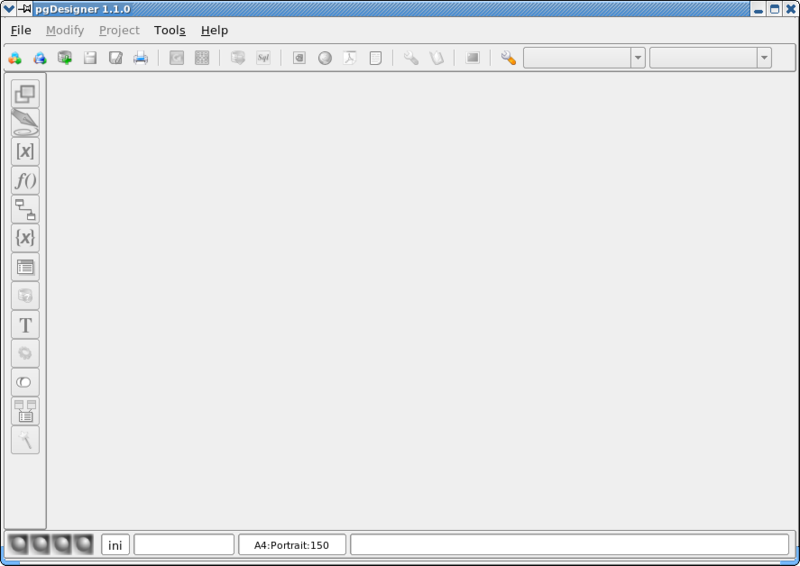 It has a ribbon-based style, similar to the Office suite of applications. There are a lot of diagram types that can be created, including UML diagrams and ERDs. They can be styled, and ERDs can exported to SQL to create the database from. 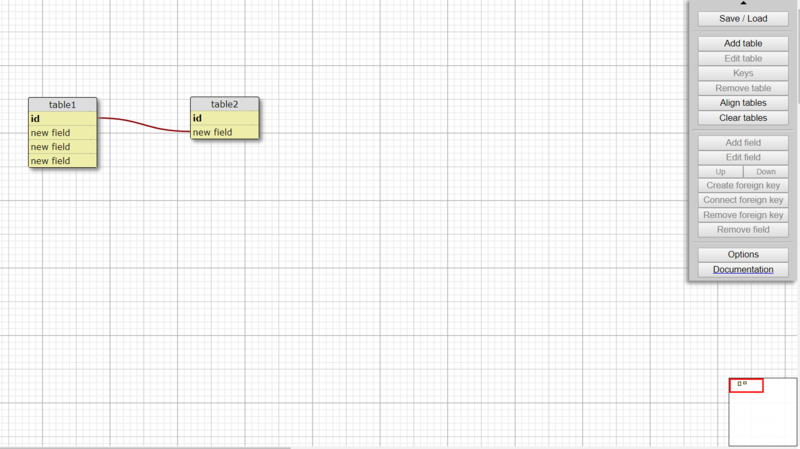 StarUML is a good looking diagramming tool available on all operating systems. It has many different diagram types, a dark and light theme, module support, and many other features. For some time there was no work done on this project as it was open source and community funded, and many of the online reviews reflect this. However, it has since been developed by the organisation and now looks to be a quality tool. Microsoft Visio is probably the most well-known out of all the diagramming tools. It’s part of the Microsoft Office suite – it’s not standard, but it can be added as an extra. The reason it’s so popular is because it’s available in many offices as part of the Office subscription. 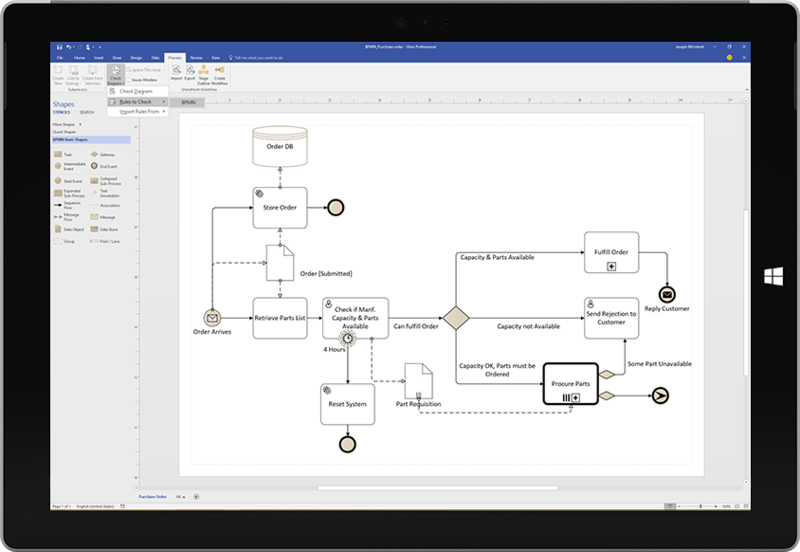 It allows users to create many different types of diagrams: flow charts, UML diagrams, and data models or Entity Relationship Diagrams. It works well, and has an online “Visio Viewer” version which allows others to view the diagrams if they don’t have access to Visio. However, it can be too expensive for some people, and there are other tools on this list that do data modeling better. It’s also only available for Windows. Visual Paradigm is a great looking tool that actually runs on all three operating systems and has a web-based version. They offer both lifetime and monthly licenses which is useful. 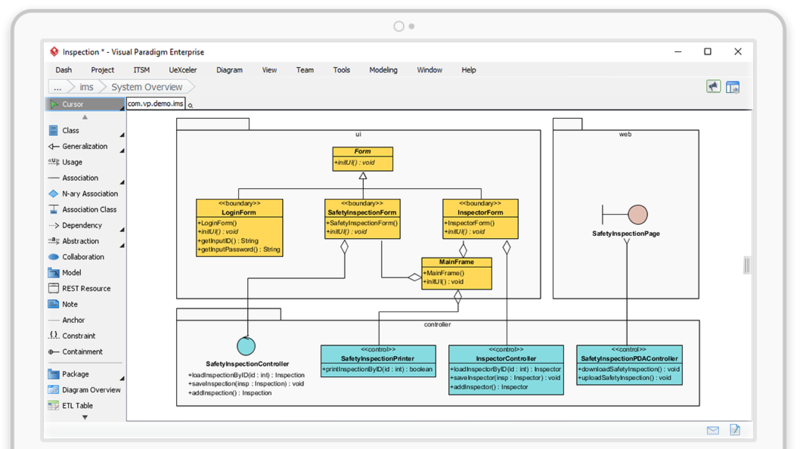 The tool includes a range of features including many different diagram types, user story mapping, user experience designing, and database diagrams. A browse of WinA&D’s website indicates that the tool runs on Windows and offers features for many different types of diagrams. In the screenshot, the UI does look a bit dated compared with other tools, but this is just my impression. I was not able to find any reviews for this tool. 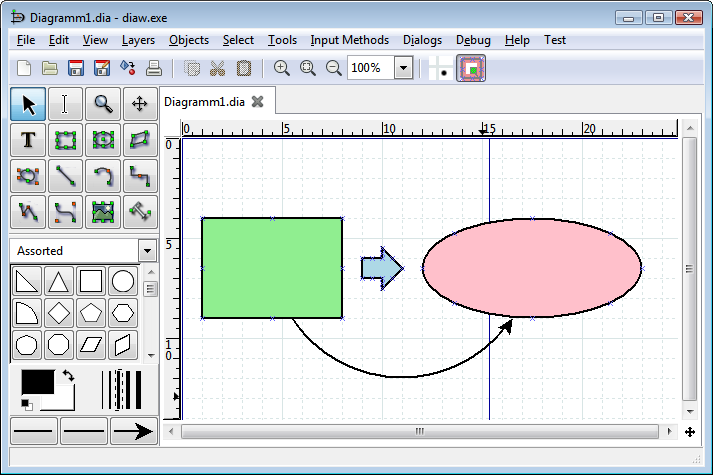 Yed is a tool used for creating many different types of diagrams. It runs on all three operating systems, is free, but doesn’t offer reverse or forward engineering of databases. These tools are a full Integrated Development Environment, allowing for SQL queries to be written and run, and also include a data modelling component. Aqua Data Studio ER Modeler is a quality tool from Aquafold. It has a lot of features useful for database developers. 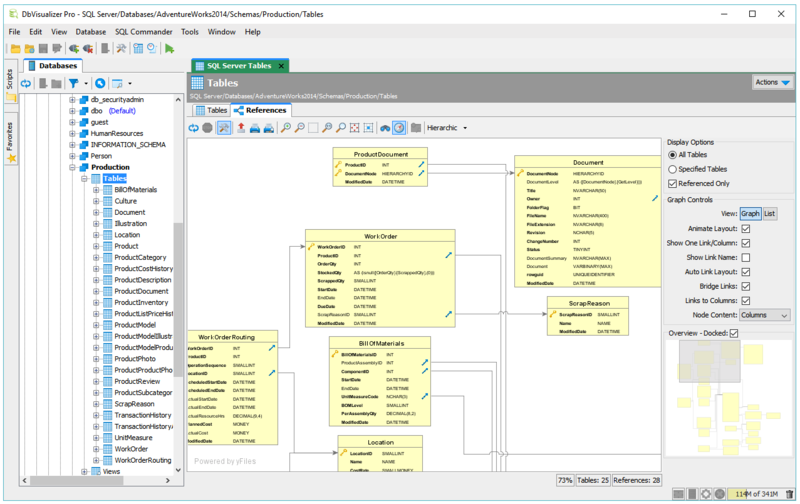 The ER Modeler is part of their overall Aqua Data Studio tool, which like others on this list, is a full SQL IDE that includes a data modeling component. It’s a good tool to consider if you want an all-in-one tool. This tool is developed by a sourceforge user known as “fritzone”. 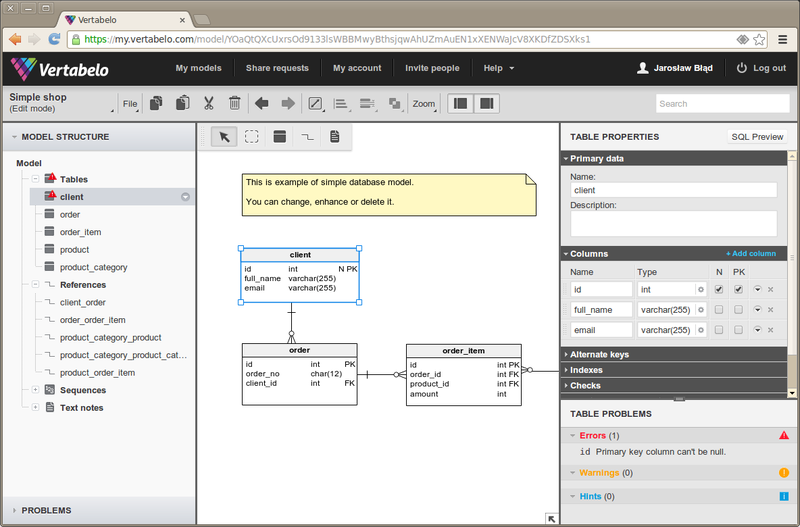 It’s open source, runs on Windows and Linux, and lets you create database diagrams and run SQL. It looks to be a handy tool and one that runs on Linux. Altova DatabaseSpy is actually a tool that lets you do much more than create ERDs. You can connect to many major databases, run SQL against the database, and much more. I looked closer at it as part of my review of Oracle SQL IDEs. It’s a tool you should consider if you want a way to create ERDs and write SQL in the same tool. Database Workbench is a tool that allows you to work with SQL for many different databases, as well as perform data modeling and create ERDs. 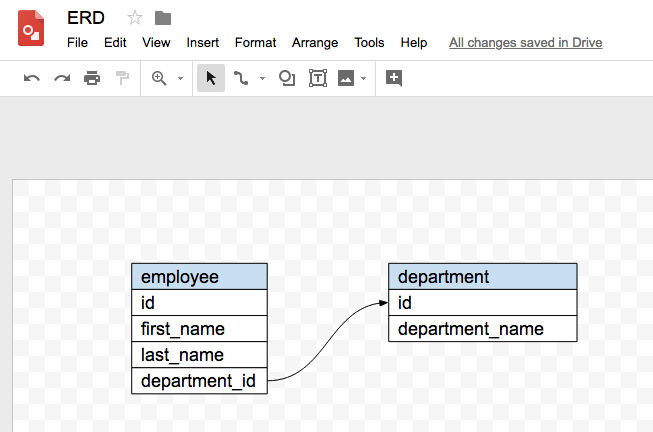 It has quite a lot of features both for writing SQL and for creating these diagrams. It allows for reverse engineering and forward engineering, which are popular and useful features in data modeling tools. It also has modules for working with different databases, including MySQL, InterBase, Firebird, PostgreSQL, NexusDB, Sybase SQL Anywhere, SQL Server, and Oracle. DbForge is actually a full IDE that I reviewed as part of my IDE comparison post. I found it to be a high quality tool, and easy to use. 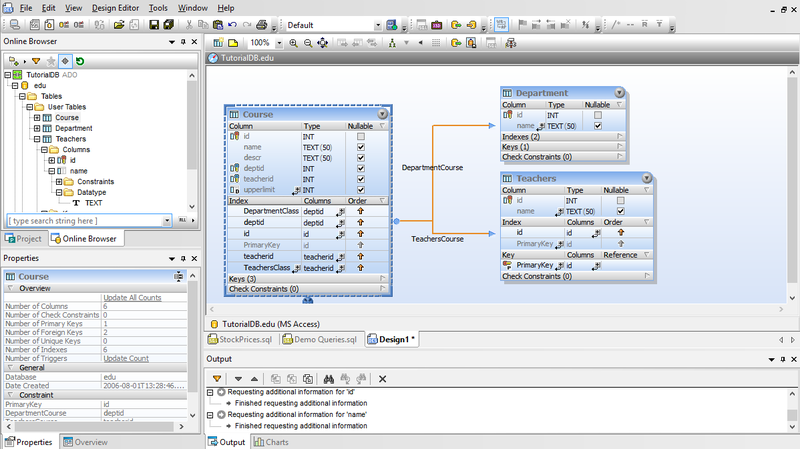 This tool also includes a data modeling component, which has many features including reverse and forward engineering. They offer a free trial, and the tool is well priced in my opinion. “What do I like best? About everything. But if I had to pick, probably the DB compare features that can come in so handy, but let’s not forget the “search” function that can search your whole database for some content, very handy when reverse engineering software. 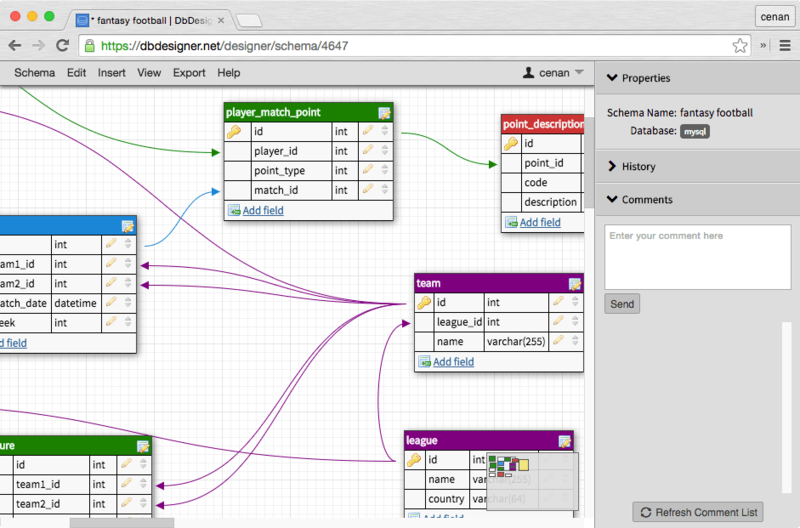 As a full IDE, DBSchema is a useful tool to allow you to create database designs, generate the SQL code, and query the database. It runs on all operating systems and they offer a free trial. There are a range of other features mentioned on their website that could be useful to you, such as schema synchronisation and a random data generator. 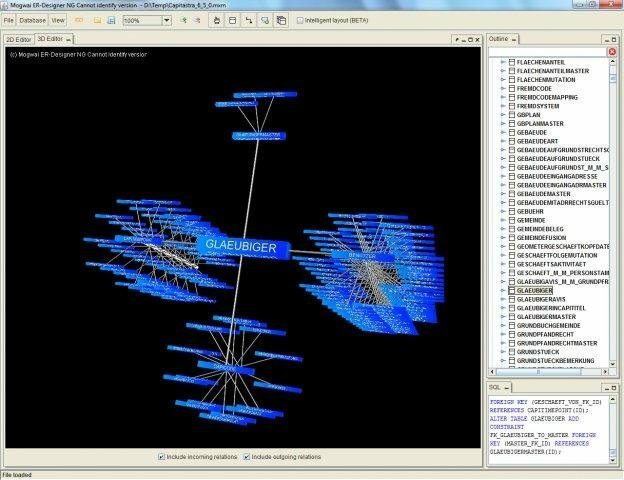 DBVisualizer is a tool that supports a wide range of databases. It runs on all operating systems as well, so there should be a version that works for you. There is a free edition, as well as a paid edition. 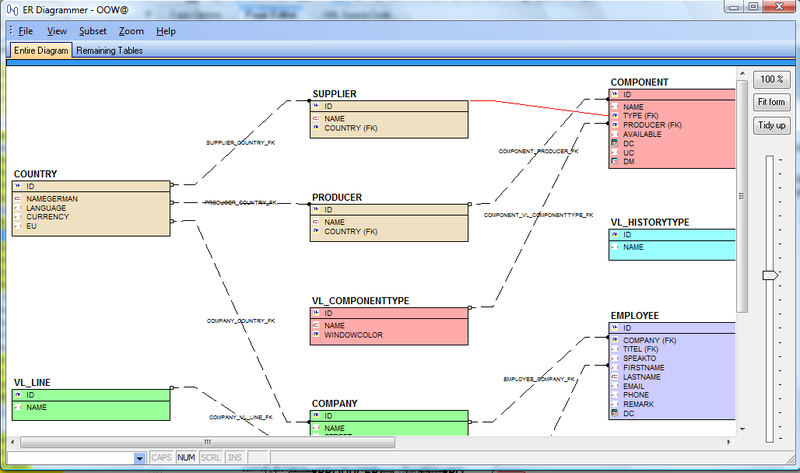 ERD Concepts is a Windows-based tool for diagramming a database and interacting with it. It has both forward and reverse engineering, along with many other features. The same vendor offers separate tools for different needs as well, if you’re interested, such as data generation. I was unable to find reviews for this tool. MySQL Workbench is a free IDE available for MySQL users. I use it quite regularly on my MacBook for writing SQL and occasionally use the data modeling component. It’s a pretty easy to use tool. I have found the layout and navigation of the tabs a bit confusing at times. For example, the default “New” option or CTRL+N will create a new Model, which has many models inside it, rather than a new SQL file. So this just takes some getting used to. Also I’m pretty sure the tables created in the model are linked to the database. I had some issues when I wanted to make a second version of a model, and when I changed the tables in the second version, the tables in the first version got updated. This was probably a deliberate feature, as I haven’t used it that much, but just something to be aware of. MySQL workbench is a useful tool, and being freely available on all major operating systems is a big benefit. I’m a big fan of Oracle SQL Developer and it’s my IDE of choice. There is a Data Modeler component included within the tool, which I haven’t used that often at all, so I can’t really comment on my experience with it. However, I know it has received positive reviews from many people. The software is always getting updated to fix any issues and improve the functionality. Heli From Finland runs a website that focuses on tips and advice for SQL Data Modeler so there’s plenty of information out there on how to use this tool. SQL Maestro is available for many different databases, each of them have their own version of this tool. 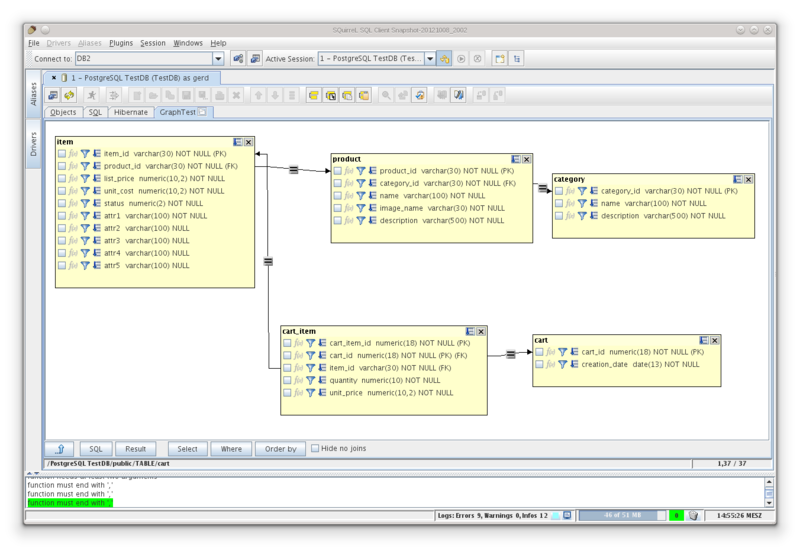 There is a version called AnySQL Maestro which covers many different databases as well, in the one tool. Personally I don’t know why this tool, as well as several other vendors, offer separate tools for each database. But I haven’t used to tool myself, so perhaps the focus is a good thing. This tool is provided by EMS who offer many different database-related tools. SQL Manager includes a range of features of interacting with databases as well as designing them. SQL Server Management Studio is another tool that is quite popular with database developers. It’s the standard tool for working with SQL Server. I’ve used it quite a lot when I’ve been working on SQL Server databases. I haven’t used the modeling area before, but the parts of the tool I have used are useful and high quality. 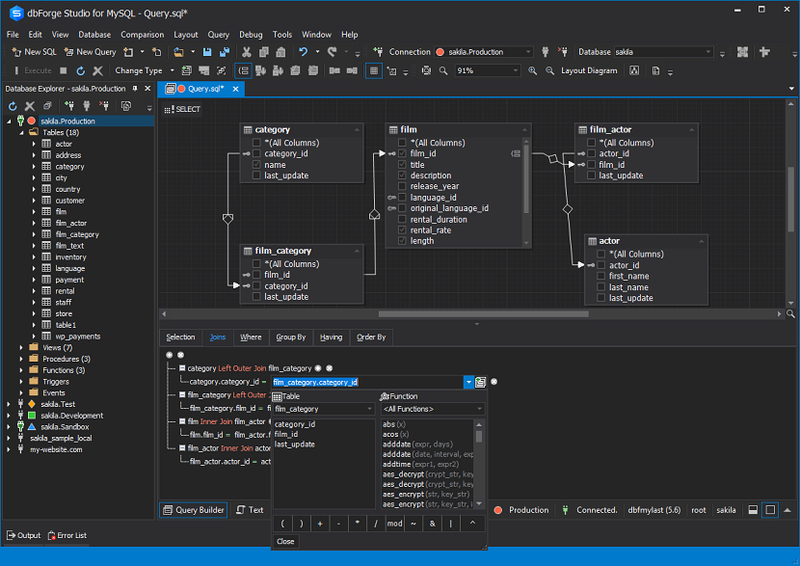 It’s a free tool released by Microsoft, so if you work with SQL Server on Windows and have a need to use an IDE with data modeling features, this one is worth considering. Back in 2004 when I first learned SQL, I used this tool to work with a MySQL database. I remember it being easy to use, which was good as a beginner. Since then, I imagine the tool has had many changes and improvements but is still a recommended tool based on the reviews below. I haven’t used the data modeling component, but it has a free trial so you could download it and try it if you’re interested. I reviewed Squirrel as part of my IDE comparison. I found to to be a useful, minimal tool, that gets the job done. It’s free, and runs on all operating systems, which is helpful. Valentina Studio was built for Valentina databases, but there are versions for other major databases as well. It includes both database modelling and SQL capabilities. It runs on Windows, Mac, and Linux, includes both forward and reverse engineering, and offers both a free and paid version. These tools are enterprise-level modeling tools, which contain a large amount of features, one of which is data modeling. Many of them are targeted at companies. 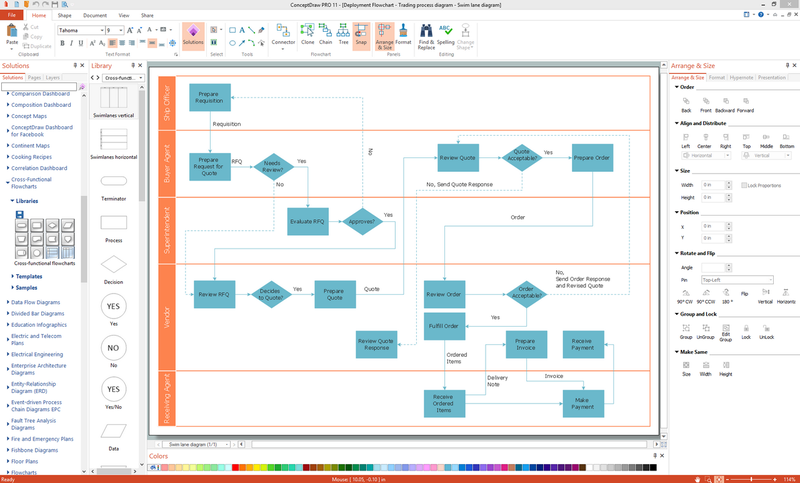 ARIS Architect & Design is more of a “business process diagramming” tool than a data modeling tool. It’s included in this list because it allows users to create ERDs. However, as far as I know, it doesn’t allow for reverse engineering from an existing database, or forward engineering (generating SQL from a data model). 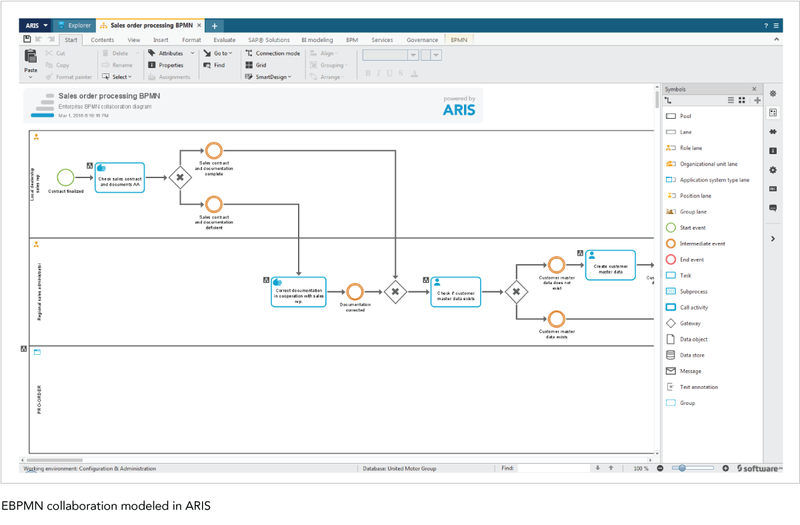 “Aris is an excellent out-of-the-box solution for process analysis and is a great choice if you are looking to extend your improvement efforts beyond BPM. The tool is easy to use and allows the user to create and simulate process models quickly so that they can be presented to key stakeholders. 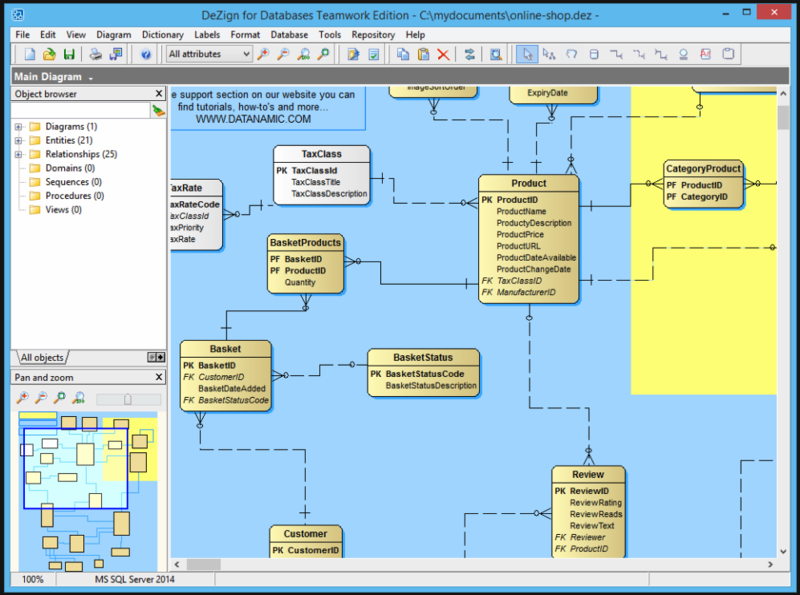 Enterprise Studio, by BiZZdesign, is an enterprise modelling and diagramming tool that lets you create ERDs among many other diagram types. There’s not a lot I can say on this tool as I haven’t used it. It’s comparable to Enterprise Architect, which is also on this list. I’ve used Enterprise Architect briefly early in my career for creating UML diagrams, and I remember it being a good tool to use. It’s a well known tool for doing all kinds of modeling and diagramming. It’s a powerful tool suited to not only database developers and designers, but business analysts and software architects as well. Like many of the tools in this Enterprise Modeling section, if you’re looking for just data modeling, this may be a bit too much. However if you’re looking for something with more features, Enterprise Architect is worth considering. I have no experience with this tool, and as it’s an enterprise-level tool, a lot of its features are not available on the website. While there were some reviews online, I couldn’t find any specifically for the database diagramming/data modeling component. 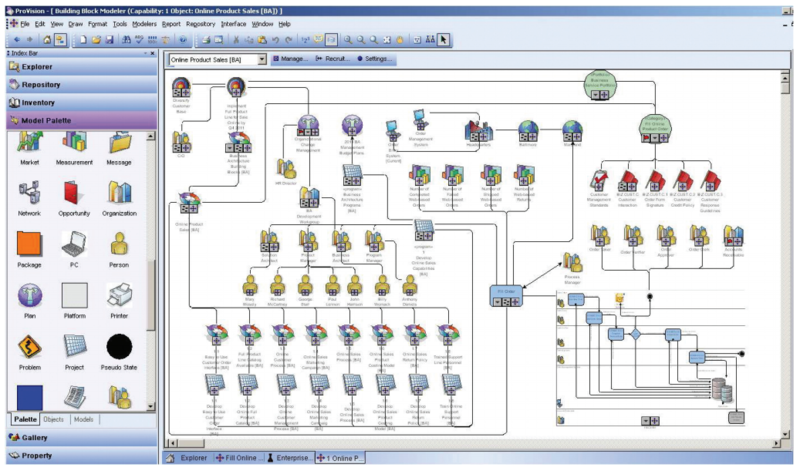 InfoSphere Data Architect, is the renamed/rebranded/updated version of Rational Rose, a well-known modeling tool by IBM. I haven’t used it before, but I know people who have. It has also been called Rational Data Architect in the past. Because it’s targeted at larger companies, you probably only have experience with it if your company already has a license for it. Archi: this models several diagrams but does not include ERDs. Argo UML: this models several diagrams but does not include ERDs. Database Design Studio: the last version was released in 2009 and the website no longer exists. DB Constructor: I couldn’t find any more information on this tool. ER Creator: I couldn’t find any more information on this tool. Experience (by Electronic Experience): I couldn’t find any more information on this tool. Oracle Designer: As of April 2018, this tool has reached “end of life”. 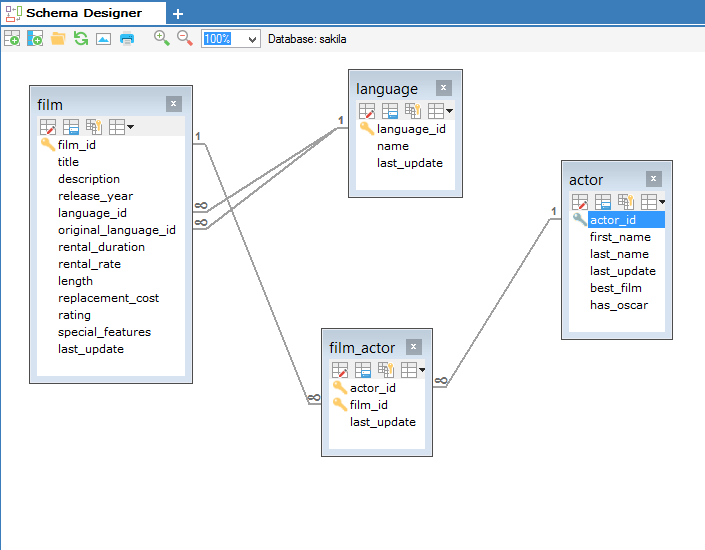 Oracle SQL Data Modeler is Oracle’s alternative now. RevJ: This is not a data modeling tool. Rhalotel DB Diagram Mgr: This tool no longer exists. RM Bench: This tool no longer exists. 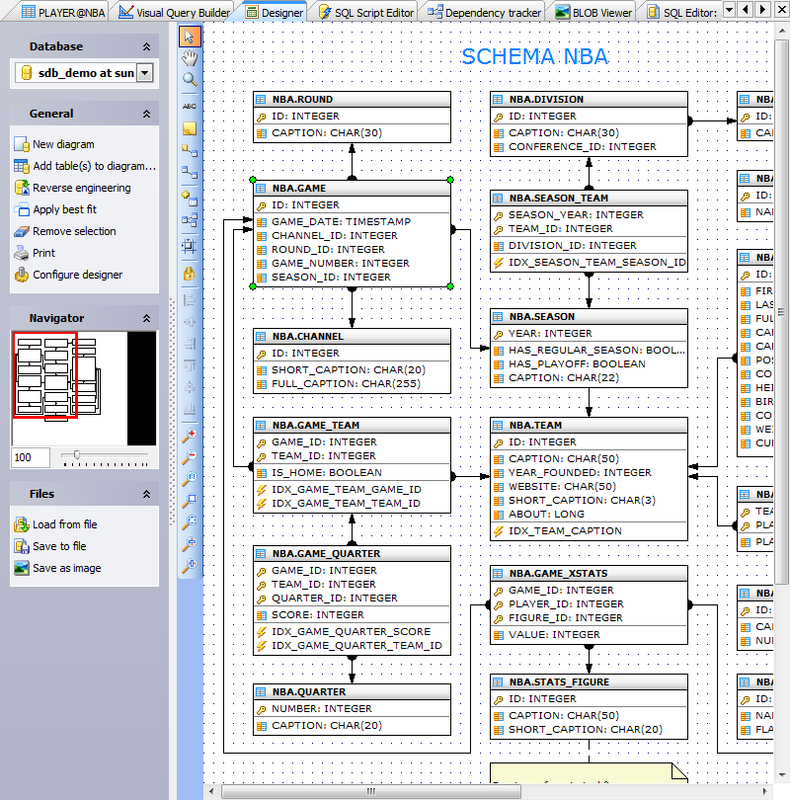 Schema Spy: This is a database documentation tool and not a data modeling tool. However it does look like a very useful tool for a different purpose! Turanto: This is not a data modeling tool. 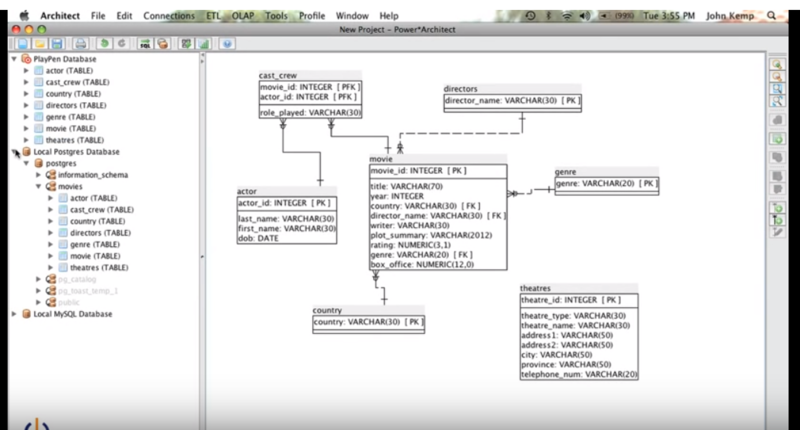 There are a lot of data modeling tools available for you to use. Choosing the right one can be hard, so I hope this guide has been helpful to you. Let me know if you have any feedback or questions on these tools in the comments section below.